EVERLEGAL is an independent and sector-focused Ukrainian law firm with particular expertise in Energy & Natural Resources. Our mission is to be a legal business partner for our clients and to facilitate your progress and get your jobs done. EVERLEGAL team is a synergetic combination of professionals from international law firms and local legal experts. We advise our clients on transactional matters with focus on corporate finance, various aspects of dispute resolution and legal aspects of business operational matters. We feel equally comfortable when advising on complex cross-border deals or representing your interests in domestic courts or foreign jurisdictional bodies against tough counterparties. Our offering covers Corporate and M&A, Dispute Resolution, Antitrust/Competition, Banking & Finance and Commercial Matters. EVERLEGAL’s clients are industry leaders with global brands, mid-size and growing businesses as well as innovative start-ups. Our lawyers have experience and expertise in a range of sectors such as Energy & Natural Resources (with special focus on RES), Agriculture, IT and Telecoms, Healthcare, Infrastructure, Financial Institutions and Consumer Goods. Public-private partnerships (PPP) type arrangements date back to ancient times (reportedly, as far as ancient Egypt). PPPs as we know them started forming in 1992 in the UK in the form of so-called “private financial initiatives”. The main idea of such an initiative was to involve private entrepreneurs in cooperation with the state authorities to develop economic and social spheres. The initiative has become a further basis for public-private partnerships in other countries across the globe (e.g., Australia). In Ukraine, PPPs officially appeared in 2010, with the adoption of the Law of Ukraine On State and Private Partnership. However, various forms of PPPs existed earlier. 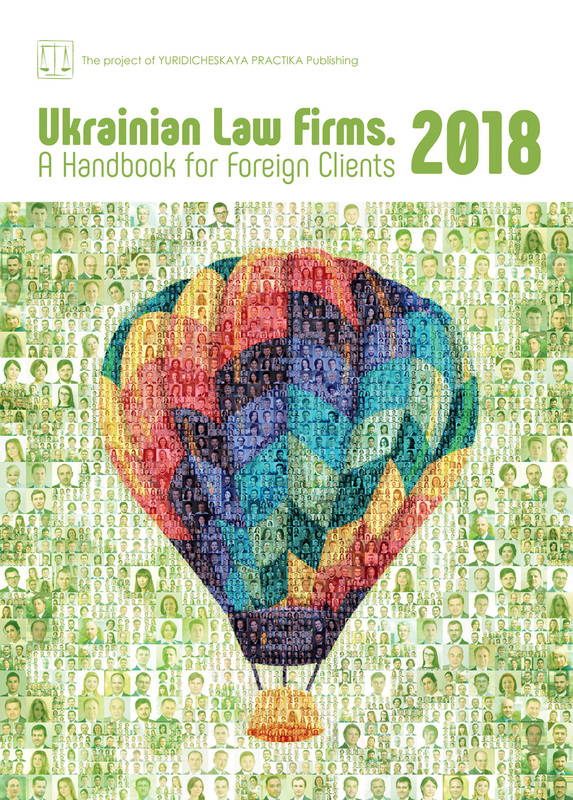 For example, concessions have existed in Ukraine’s legal framework since 1999. A public-private partnership is a type of contractual cooperation between public and private entities whose aim is to implement certain projects of particular significance and scale. To implement such projects, the resources of both public and private partners are combined with the corresponding distribution of risks, responsibilities and rewards (reimbursements) between them, for mutually beneficial interaction on a long-term basis. — promotion of dialogue between public and private entities in various fields, etc. Every country has its own legislative regulation of PPPs and there are many various types of them. In Ukraine the most common type of such partnership is a concession. (v) the Law of Ukraine of 14 December 1999, No. 1286-XIV On Concessions for the Construction and Operation of Automobile Roads. (as amended on 25 March 2018 to improve concession-related legislation in this sector). Notably, the mentioned Law On Concessions is about to be revamped. The relevant bill has been passed by Parliament in the first reading and, in preparation for the second reading, an ongoing discussion is taking place in the parliamentary committees with feedback being sought from stakeholders, including trade associations, to refine the bill further. Legal experts in Parliament were somewhat critical of the bill; therefore, some work still needs to be done on it. There is also a substantial amount of secondary legislation detailing PPP-related procedures. According to the website of the Ministry of Economic Development and Trade of Ukraine, as of 1January, 2018 there are 182 PPP projects that being implemented at the present time. Of those projects, 157 are concession arrangements, 24 projects are joint activity agreements and 1 project is implemented exactly in the form of a public-private partnership contract. According to the same website, the most popular sector for PPP projects in Ukraine is waste treatment, where 116 projects are being implemented. Other sectors include the collection, purification and distribution of water (39 projects); production, transportation and supply of heat (10 projects); construction and exploitation of roads, railways, bridges and other transport infrastructure facilities (7 projects); production, distribution and supply of electricity (2 projects); exploration for and production of minerals (1 project); and others (3 projects). The above numbers prove that this type of cooperation is rather common in Ukrainian realities and sufficiently regulated by current Ukrainian legislation (even though some improvements are necessary to revitalise PPPs). Nevertheless, some economic sectors (e.g. transport infrastructure, energy, particularly renewables, exploration of minerals, etc.) still lack investment and there are only a few PPP projects that are implemented in these spheres. In addition, 114 out of all projects are implemented in the territory of Poltava Region, which, arguably, demonstrates that some regional authorities are more open to PPPs than others. And this is what needs to be changed. The Energy Strategy of Ukraine until 2030 sets the development of renewable energy sources as a priority for increasing national energy security. In addition, advanced potential of renewables in Ukraine is a significant factor in countering global climate change in general and strengthening the overall state of energy security in Europe. The use of PPP mechanisms in the alternative energy sector is a significant decision, whose implementation could turn to experience of other countries that managed to successfully put public-private partnerships into action in this area. One such example can be the UAE and Saudi Arabia, which mobilised its private sector expertise and international capital in long-term partnerships between the public and private sectors to deliver large scale renewable energy projects, particularly in the field of solar energy. The last three utility scale renewable PPP projects tendered in the UAE are based on photovoltaic solar technology. Highly competitive PPP procurements have become available due to the following features: well-structured risk allocation between public and private sectors; highly efficient and transparent procurement processes; the use of well-proven technology, etc. These are the features that need to be adopted by Ukraine for effective implementation of alternative energy PPP projects. They should also be taken into consideration during the ongoing debate about optimization of renewable energy incentive schemes, including introduction of auctions in the future. There are some examples of successful PPPs in the renewables sector in Ukraine. In 2015, through funding received from the United States Agency for International Development (USAID), biofuel heating was introduced in Malyn, a town in Zhytomyr Region. This project showed that energy independence at municipal level is possible in Ukraine and, according to official sources, it provided for significant cost savings, stable supply of heating and better local business climate. It has also become a role model for other PPPs in this sector. There is also a positive tendency in simplifying the process of finding investors and creating PPPs: an interactive map of renewable energy projects that need investment has recently been introduced by the State Agency for Energy Efficiency and the Ukrainian Agency for Investment and Sustainable Development and can be found at www.uamap.org.ua. Even though PPS are reasonably well regulated by Ukrainian law, there are still some issues that remain unresolved. Among them are: involvement of mainly Ukrainian companies in projects and leaving behind the possibility of using the advanced technologies of foreign investors; lack of skilled personnel that could prepare project documentation; undefined priority sectors for implementation of PPPs; lack of trust between private and public sectors, etc. In order to resolve these issues, it is important to develop a clearer regulatory framework, mainly, providing for harmonization of legislation regulating concessions with the Law of Ukraine On State and Private Partnership; to improve and simplify the rules on access to land for private investors, introduce a single government authority that would deal with investment issues and ensure strategic planning of economic growth in Ukraine in general. It is also important to resolve the policy issue of balancing between privatization and PPPs (e.g. concessions) as many large Ukrainian businesses tend to prefer the former over the latter. Taking the above steps and resolving the mentioned issues will allow for more successful PPPs projects in Ukraine. PPP is a win-win method of doing business in Ukraine as it provides the possibility for public authorities and private investors to achieve common goals in an effective, accelerated and simple way. To make PPPs more efficient it is important to introduce a clearer regulatory framework, priorities and goals and take steps in their implementation and using the experience of other countries who are leaders in the field.